Whether you're looking for a classic 911 restoration or a 911 customized just for you, there’s more than one way arrive at your destination. 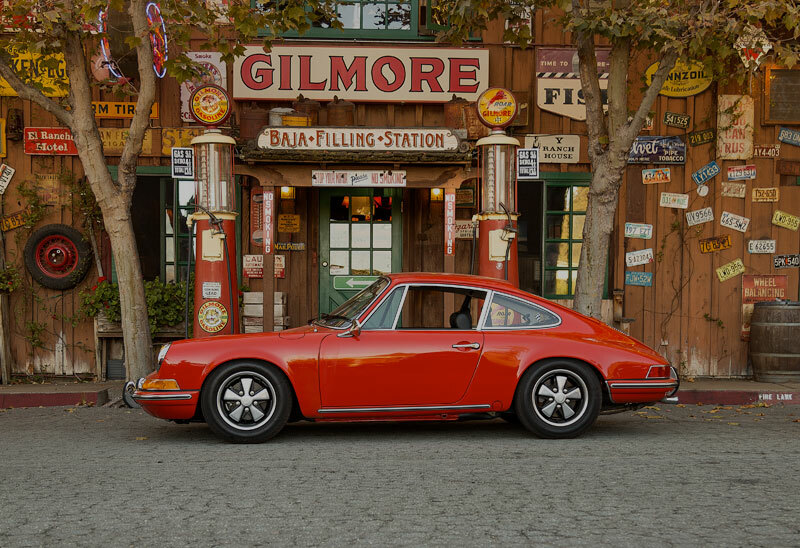 The 911 G Series (1978-1989) forms the basis of our customized 911’s. From there, you select from a range of luxurious materials, colors, finishes and performance options, to create a 911 that's unmistakably yours. Customize Your Porsche online and send us your creation. Our team walks you through your options, and takes your order. The car follows our restoration process, where you receive monthly photo updates of its progress. Once your project is complete, you’ll have the opportunity to have it inspected at our Miami showroom, or by video call. Free delivery in the Continental U.S. to your door! Select a blank canvas from our inventory. Our team scours the globe in search of solid Porsche 911 restoration candidates - air-cooled 911’s with limited numbers, rare paint, and minimal rust. Then, we transform them into prized collector cars, daily drivers, vintage racers - whatever you desire. Select a vehicle “awaiting production” or from our inventory, and fill out the online form. Not sure which vehicle is right for you? Contact us. Skip right to the part where you're in the driver's seat. Purchase one of our completed restorations. Each rare and collectible 911 comes with a photo book, documenting its transformation process, from start to finish. Check our inventory of classic 911’s for sale, choose a car that interests you, and fill out the online form. Need help selecting your dream car? Contact us. Give the potential you found, the treatment it deserves. Whether you found your 911 at an auction, a classic car dealer, or in your dad’s garage, once it receives the STRAAT treatment, it will feel like something else - yours. As with all of our projects, yours will begin with our rigorous production process - regardless of its condition. This process ensures that our quality standards are met or exceeded - we don’t skip steps, cut corners, or perform partial restorations. Call or email us - and tell us all about your Porsche 911 - how you met, what you envision, and how we can help. Visits are by appointment only. Contact us to arrange an appointment.